Shizen Vegan Sushi Bar and Izakaya regularly gets mentioned as one of San Francisco’s top vegan restaurants and has a laudable mission statement, but I think this restaurant is completely over-rated. First of all, it has a reservation and entry policy that probably maximizes its profits but is annoying as hell. The only thing we ate at Shizen that reached for excellence, was the Goma Ae spinach with sesame paste. The specialty rolls were all squeeze bottle sauce drizzled, inside-out roll confections, that mainly tasted of sweetened soy sauce. Shizen doesn’t pay enough attention to its sushi rice, the rice was over cooked and mushy. But, one of the rolls we ate had me convinced that there was a layer of unagi on the outside, I don’t know how they did it, but that was a plus. In addition to meh food, the service at Shizen was slow and confused. 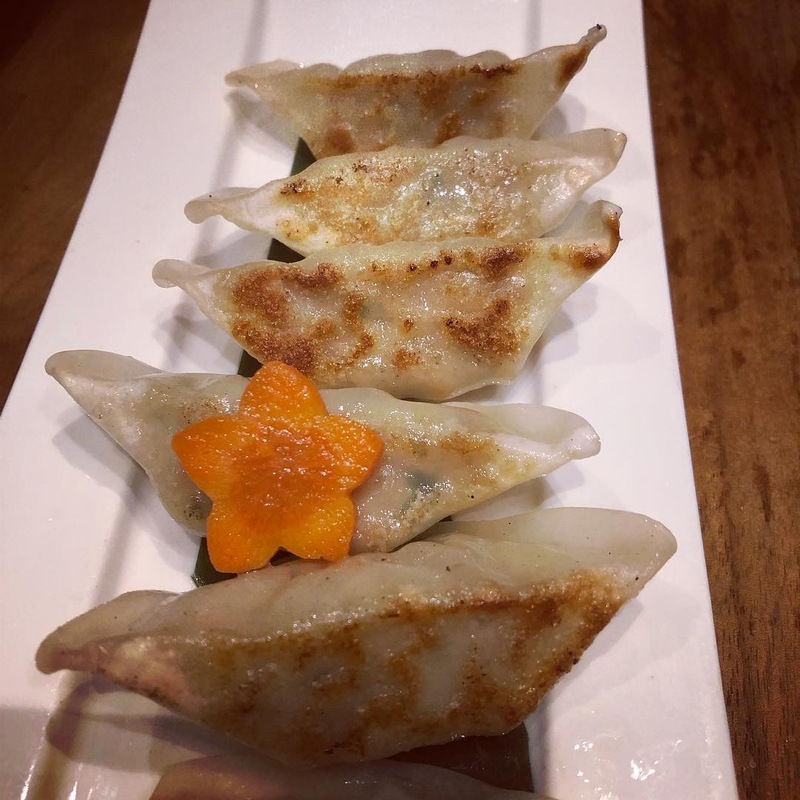 The Dumplings: It is obvious that Shizen serves frozen gyoza and the waitress confirmed it. I am convinced they are using Assi Brand Vege Potstickers, which is a brand I like a lot, but I really expect house made dumplings from a restaurant with Shizen’s reputation. To add insult, Shizen doesn’t even pan-fry them very well, the dumplings we were served were under cooked. The women who give out free samples of Assi dumplings at H-Mart do a better job of cooking them than Shizen did. The Location: Shizen is in The Mission District on 14th between Mission and Valencia. The Armory Club bar on Mission and 14th street is a good place to wait out your time on the Shizen waiting list. It is a 10 minute walk from Shizen to IndoChine, so think about eating there instead. This entry was posted in Frozen Dumpling Review, Gyoza, Japanese, Potsticker, San Francisco, Vegan, Vegetarian, Veggie Dumplings. Bookmark the permalink.